Home schooling means that you, as parents, assume responsibility for directing your child’s education and use your home as the base for that education instead of a traditional public or independent school. Home schooling may appeal to some military families who are concerned that frequent moves and new school systems might disrupt their children’s education. If you are thinking about educating your child at home or have already made the decision, the information here will help guide you to support and resources. Your installation is a good first stop for information and home schooling support. You may even find a home-school support group on your installation. School liaison officer. Your school liaison officer can fill you in on home schooling state and local regulations and connect you with home-school groups on your installation or in the community. Child, youth and teen programs. Your installation’s youth program may open its facilities or offer special classes during the school day to children who are educated at home. You may also enroll your children in the program’s regularly scheduled enrichment classes. Department of Defense Education Activity. If you live on an installation with a DoDEA school, you may be able to enroll your child in enrichment classes, such as art, music and physical education. Your child may also use the school library and other academic resources, such as textbooks, as well as participate in extracurricular activities, which may include drama, clubs and sports. The DoDEA also offers a Virtual School, a fully accredited online high school that grants diplomas and offers more than 50 available courses. Eventually, the program will offer the full spectrum of courses a high school student needs to graduate. The Non-DoD Schools Program. If you are stationed overseas in an area where the DoDEA does not operate a school within commuting distance and you want to home school your child, the NDSP will provide support and funding. To enroll, you must follow certain steps, including submitting a home-school education program taking into account any host country regulations. The DoDEA will reimburse you for certain education-related expenses. You can find more information from DoDEA/ Non-DoD Schools Program. Military support services. Each service branch sponsors information and support programs for service members and their families. You can call or visit any installation Army Community Service Center, Marine Corps Community Services, Fleet and Family Support Center or Airman and Family Readiness Center, regardless of your branch affiliation. If you aren’t near an installation, National Guard Family Assistance Centers are available in every state. The Contacts and Resources page on the National Guard Family Program website will identify your closest center. Military OneSource. This 24-hour service is available at no cost to all active duty, National Guard and Reserve Components (regardless of activation status) and their families. Counselors provide information and make referrals on a wide range of issues, including parenting, education and home schooling. Face-to-face counseling sessions (and their equivalent by phone or online) are also available at no cost. More information is available from Military OneSource or by telephone at 800-342-9647. Public libraries. Public libraries offer a wealth of programs, services and information to help home-schooled children. These may include summer or after-school reading programs, lists of books recommended for your child’s grade level and classes on topics such as how to use computers or search the Internet. Some libraries provide museum passes to families at no cost. The library reference desk can help you find information on subjects your child is studying if you cannot find what you need on your own. Community centers and YMCAs. Many community centers and YMCAs offer classes to home-schooled students, including some designed just for them. These may include arts and crafts programs and lessons in swimming or other sports. Museums and arts organizations. You may find education programs for children at art, science, historical and other museums. Children’s programs are also offered by many arts organizations, such as orchestras and theater or dance groups. You may find additional education programs at zoos, wildlife centers and nature preserves. Tutors and learning centers. If your child needs more help in a subject than you can give, you can hire a tutor to work with your child on a regular or an occasional basis. Call the local public schools to see if they have after-school tutoring programs your child can attend or if they can give you a list of recommended tutors. Local home-school support groups may also be able to recommend a tutor. You can also check community bulletin boards or ads in newspapers. A growing number of communities also provide commercial tutoring or learning centers. These typically have computers and staff members who can provide help in different areas, especially in basic subjects such as math and reading. Community colleges and vocational training programs. Teenagers may be able to take courses at community colleges, vocational training programs or even four-year colleges. Community college courses cost less than those at four-year colleges and may be less expensive than some vocational training programs for a specialized skill such as cooking, auto repair or computer programming. These courses may be a good option for mature teenagers who want to explore an area that you don’t feel qualified to teach. Umbrella schools. Umbrella schools are organizations that supervise the education of home-schooled children and build ties among families who prefer this kind of education. For example, if you choose home schooling because you want your child to receive some religious instruction during the day, you may find an umbrella school in your area that helps parents of your faith plan lessons, find curriculum materials and allow children to take part in extracurricular activities. To find out if such schools exist in your area, search the Internet for “umbrella school” and the name of your state or community, or talk with other parents who are home schooling their children. Umbrella schools are sometimes called “cover” schools. Home schooling networks and support groups. Many states and communities have formal or informal networks or organizations for home schooling families. They provide a broad range of support for parents on home schooling issues, including making the decision to home school, getting started, legal information, suggestions for teaching different subjects, available curricula, information on special needs children and more. 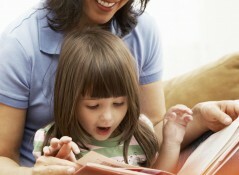 These groups also offer opportunities to meet and talk to other home schooling parents. Often, groups offer students some of the same activities they would have in traditional schools. They may have annual conferences giving children a chance to put on plays, compile yearbooks, take part in spelling bees and make friends. They may also have websites or email lists to help parents and children keep in touch. Activities like these can give students a strong sense of being part of a group even when they do not attend a traditional school.